Kristin Forbes was born to be a musician. A distant relative of the composer Tchaikovsky, she has been playing music since she was three, when she heard a song on the radio, went to the family piano, and figured out how to play it. She started playing guitar in high school and in college, upon playing in her first band, realized that pursuing music was the life she had to live. She recorded and toured as a solo artist for years in Boston before moving to Washington, DC to play keys with The Travis Morrison Hellfighters (frontman of The Dismemberment Plan). It was in DC in 2005 that she met Olivia Mancini and picked up bass to play in her band, Olivia Mancini & The Mates. She also went on to play bass in The Andalusians, who have a 7" on DC's seminal punk label, Dischord Records. Kristin now lives in Baltimore and has rediscovered her love for playing Jamaican music. Dubbed Lady Hatchet by her peers, Kristin fronts The Scotch Bonnets, her ska-rocksteady band that also serves as an outlet for her song-writing. The Bonnets have backed and recorded with HR, singer from Bad Brains, and in spring of 2015, the Bonnets did a three-week tour of the eastern States backing Roddy Radiation, lead guitarist of The Specials. She also considers herself “the utility infielder” in Baltimore’s premiere ska-reggae band The Players, because with them she will play guitar, bass, even keys if necessary! In 2011, Kristin spent a month on the Vans Warped Tour playing with Angelo Moore, singers/saxophonist from Fishbone, and the songs they wrote during this collaboration were released in 2015 on the Japanese album Ska Do Au Ska Don't. 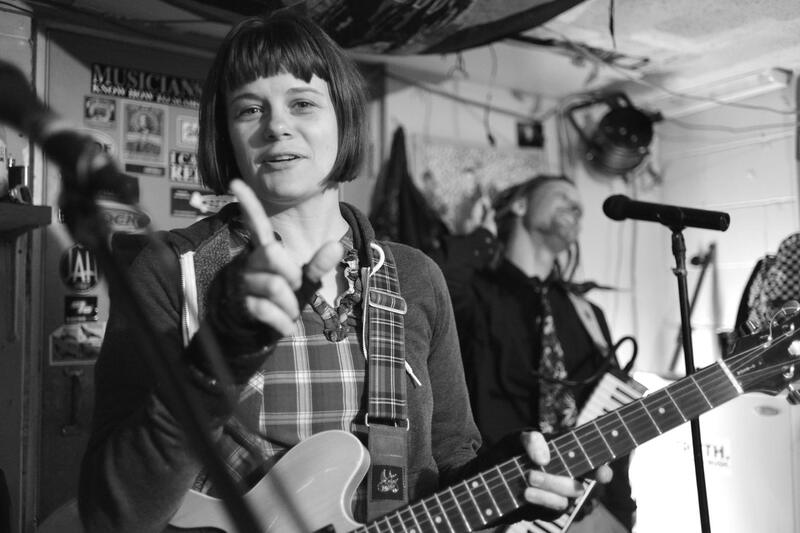 Kristin spent some time in 2013 in the band of NYC ska capo King Django, and in 2015, she filled in on guitar with NYC’s longtime Jamaican music stalwarts The Slackers on their European and Canadian tours. For eight years, Kristin worked at GIGS, a rock’n’roll music school in Kensington, MD, teaching guitar, bass, drums, and voice. Now, she teaches lessons independently and sometimes she can often be found performing solo at Baltimore and DC farmers' markets and acoustic clubs. When filling out tax forms and loan applications, Kristin is very grateful to write "professional musician" on the occupation line.